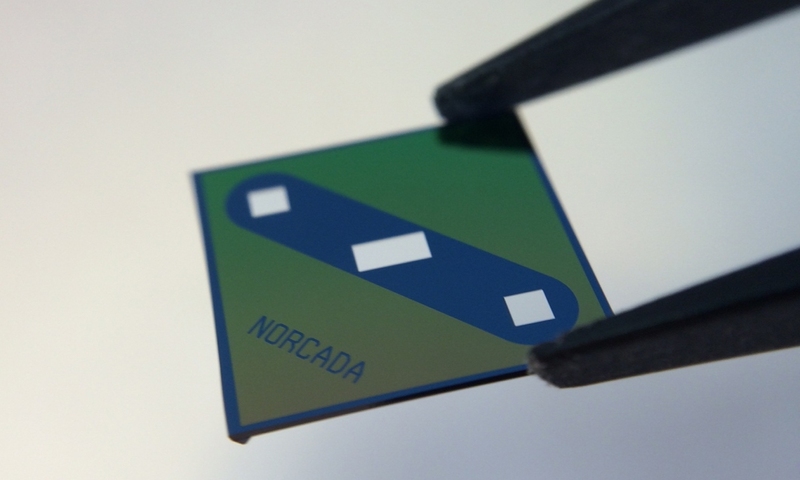 Norcada’s liquid cell chip for in-Situ TEM analysis of liquid samples. Norcada’s MEMS chip with metal electrodes for in-Situ TEM with electrical biasing. Norcada designs and manufactures silicon nitride membrane based MEMS chips that can be used as both static and dynamic liquid cells for in-Situ electron and X-ray microscopy work. The devices are designed to have thin nitride membrane windows, spacers to control liquid layer thickness in a static liquid cell. The spacer material options include dielectric, metallic, or polymeric thin films. When two such chips are assembled together, a nanometer scale thin film of liquid can be defined in the window area between the top and bottom chips, allowing TEM and X-ray analysis of liquid samples. For static liquid cells, samples need to be pre-loaded before assembly. 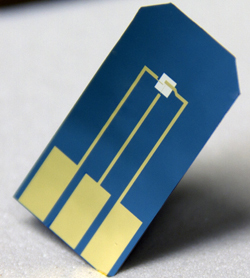 For dynamic liquid cells, samples can be introduced through access ports after chip assembly. Our TEM liquid cell chips can be designed specifically to fit with customer’s TEM holders. The chips can have rectangular, square or polygonal shape in almost any dimensions. Our standard X-Ray liquid cell chips are designed to fit with Norcada holders designed for X-ray microscopy work. The silicon nitride window on the chip can be tailored in a wide thickness range, from 10nm to 1000nm, and its shape can be rectangular, square, or round. The spacer thickness can range from nanometers to micrometers. The pattern can be defined by the end-user. Both open-side and closed-side designs can be made. Please contact us to discuss your spacer patterns. Norcada carries an inventory of different designs of liquid cell chips for TEM, SEM and STXM applications. Please contact us for more information and pricing. 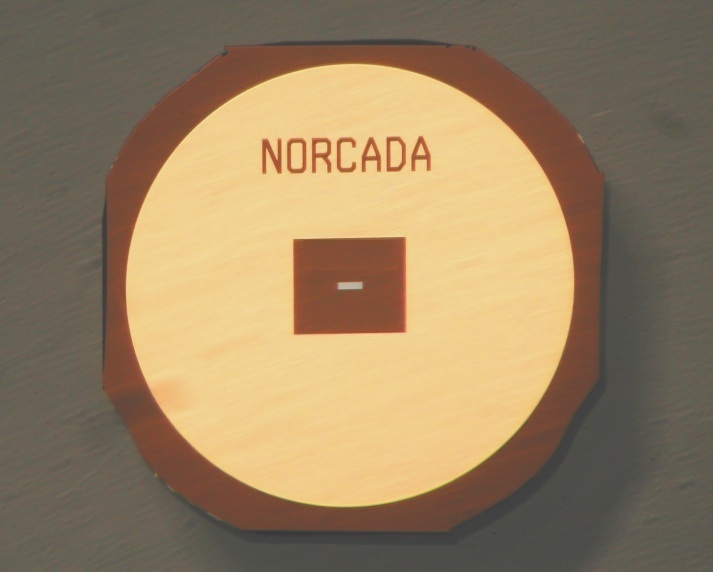 Norcada also designs and fabricate MEMS chips with metal electrodes for electrical biasing and electro-chemical study of samples during TEM analysis. The TEM chips can be designed specifically to fit customers TEM holders. The chips can have rectangular, square or polygonal shape in almost any dimensions. The X-Ray chips are designed to fit into Norcada holders designed for various configurations of STXM at different beam lines. The silicon nitride window on the chip can be tailored in a wide thickness range, from 30nm to 2000nm, and can be rectangular, square, or round. Electrode material options include Al, Ag, Au, Cr, Pd, Pt and many other metal thin films. 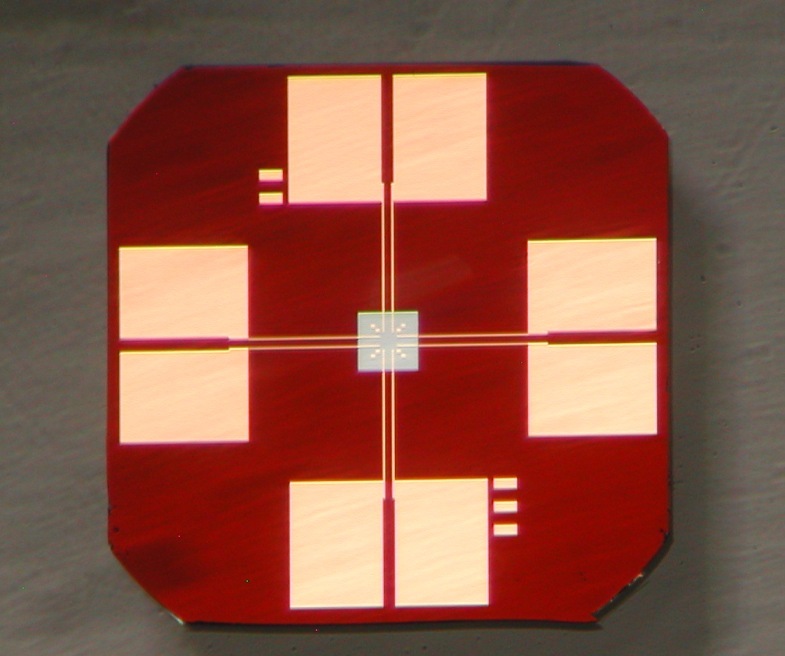 Norcada offers a wide range of MEMS e-biasing and e-chem chips for TEM, SEM applications. Norcada can also offer customer tailored packages that include holders and MEMS chips for STXM based applications. Please contact us for further information and pricing options.